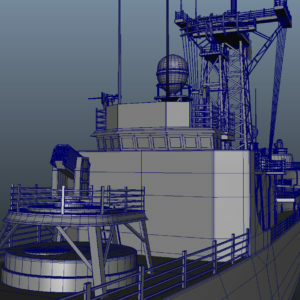 USS Oliver Hazard Perry 3D Model FFG7, mid poly very detailed 3d model, created with great attention to details and realism, the 3d model includes all the details of the real world USS Oliver Hazard Perry , the ZIP files contain the following 3d formats “.ABC” “.OBJ” .FBX” “.MAX” files, and four 5120 x 5120 pixel texture maps. 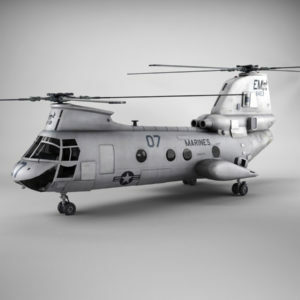 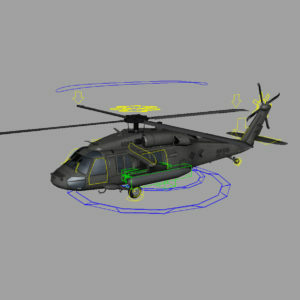 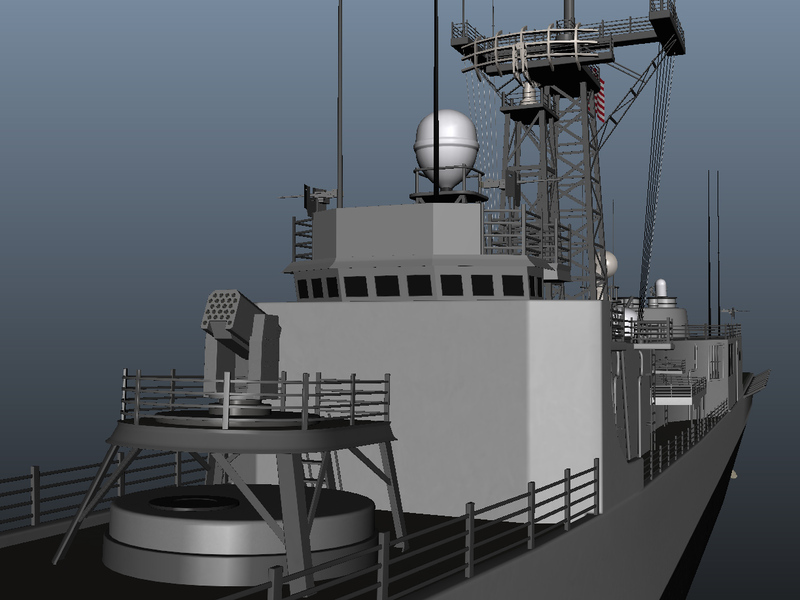 the 3d model works very well for closeup still renders and animations as well, you can use it for military simulations and battles, and cinematic animations as well. 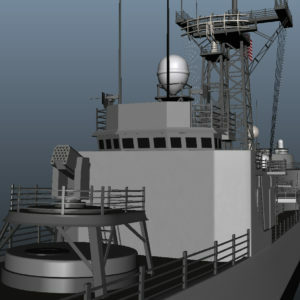 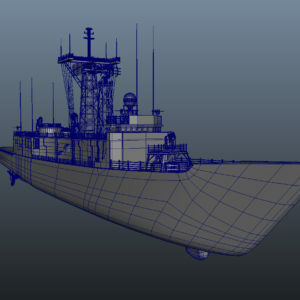 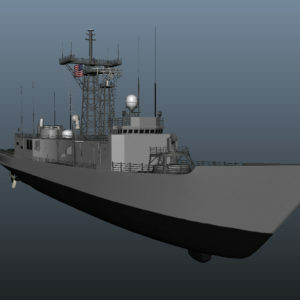 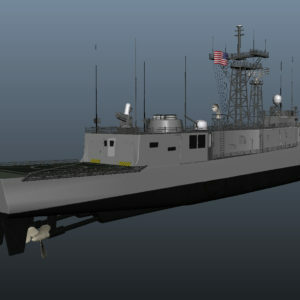 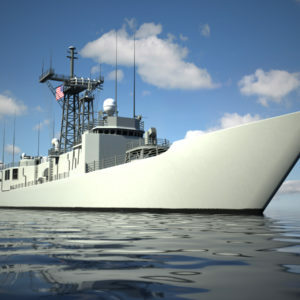 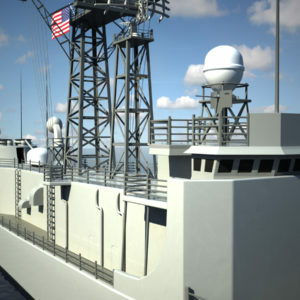 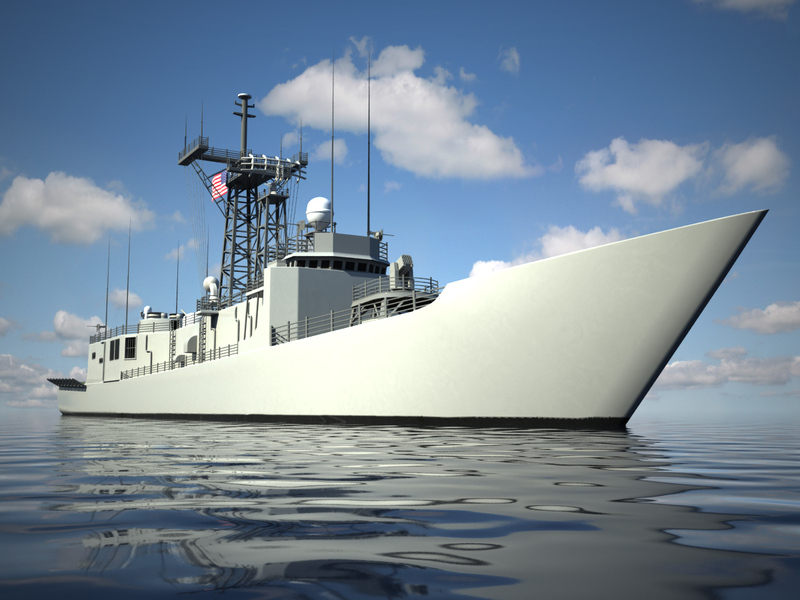 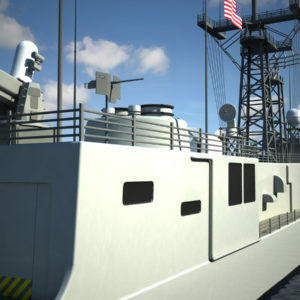 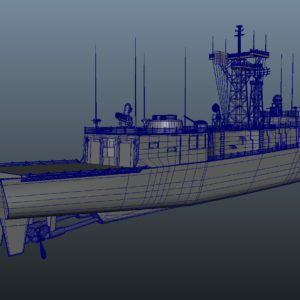 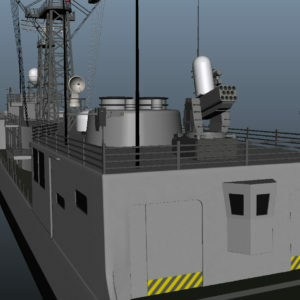 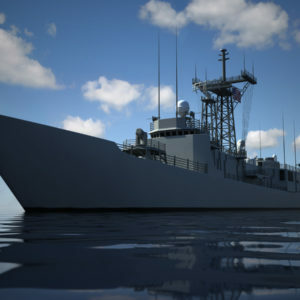 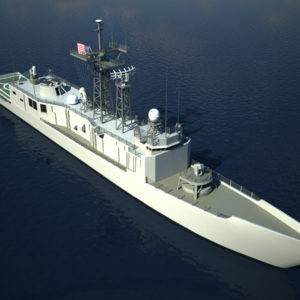 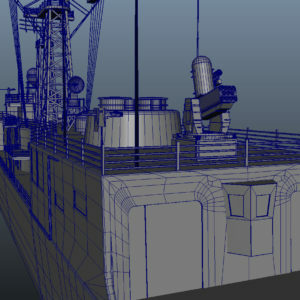 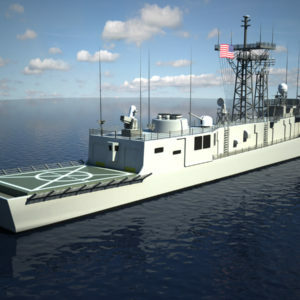 The USS Oliver Hazard Perry 3D Model FFG7 created with high attention to details and realism to match the battleship, the 3d model contains very high resolution four – 5K texture maps that will work very well for close up renders and long shots, the model is well optimized for rendering and animation. 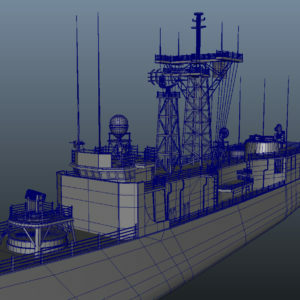 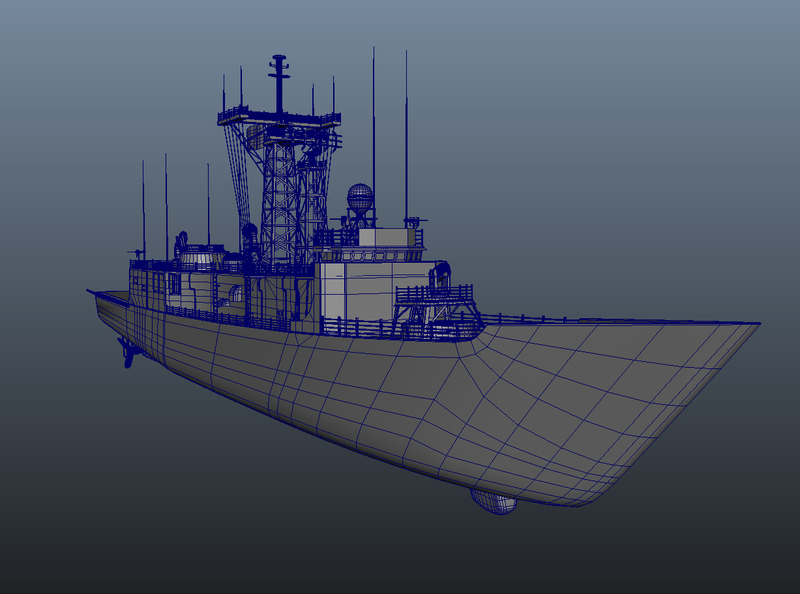 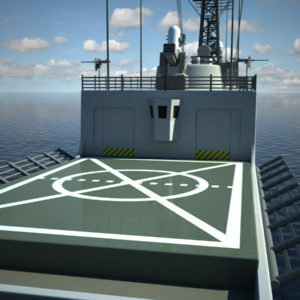 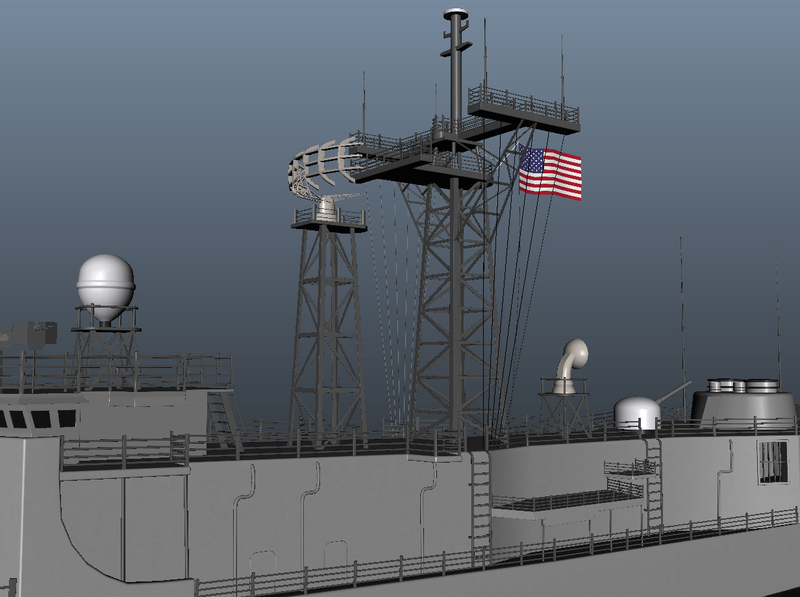 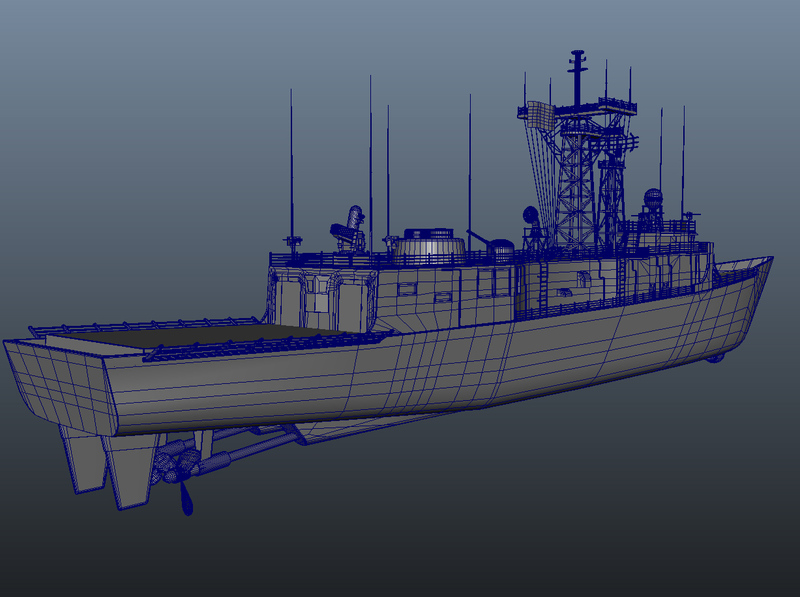 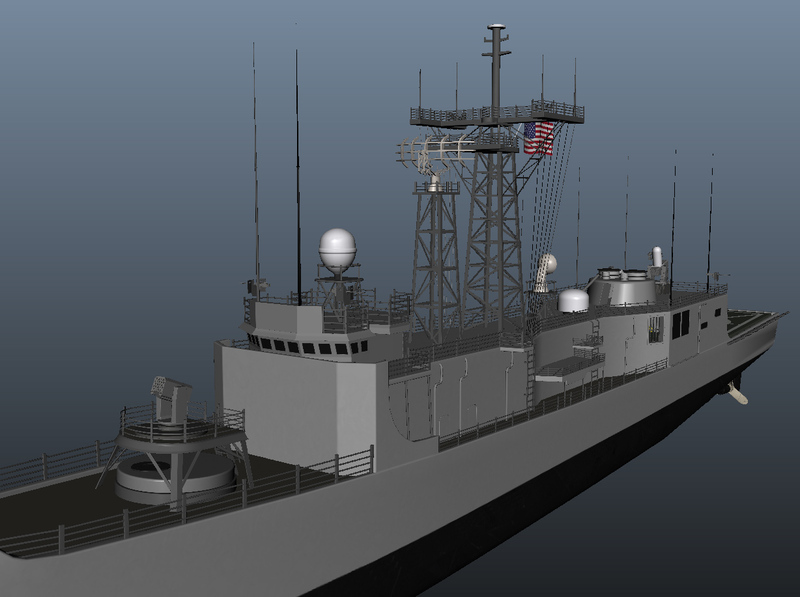 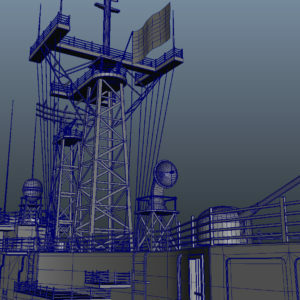 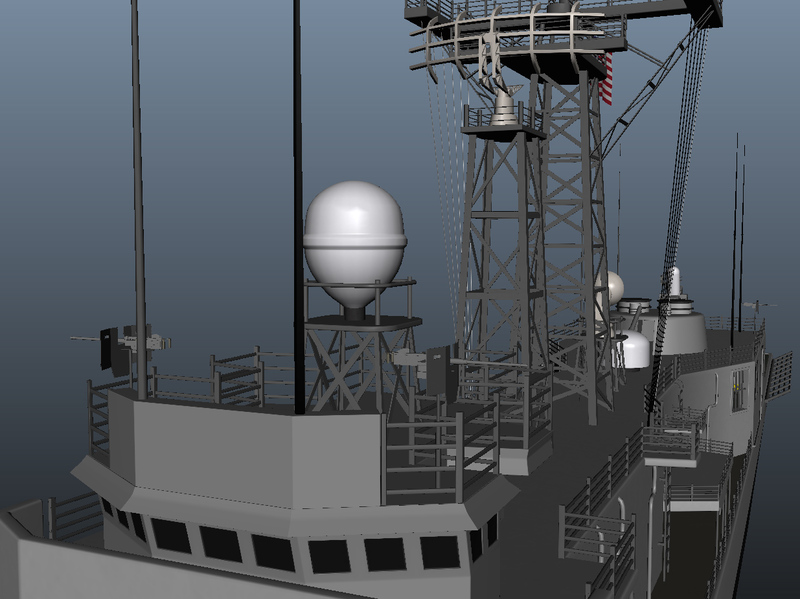 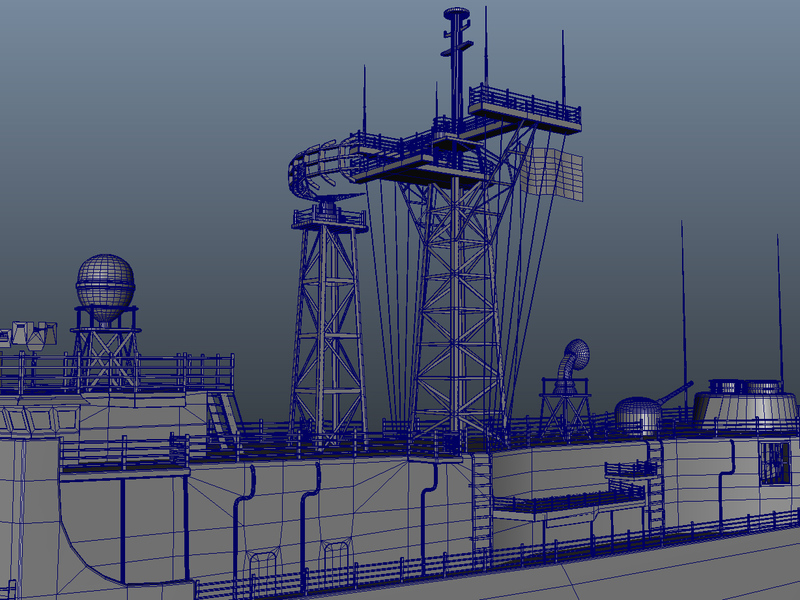 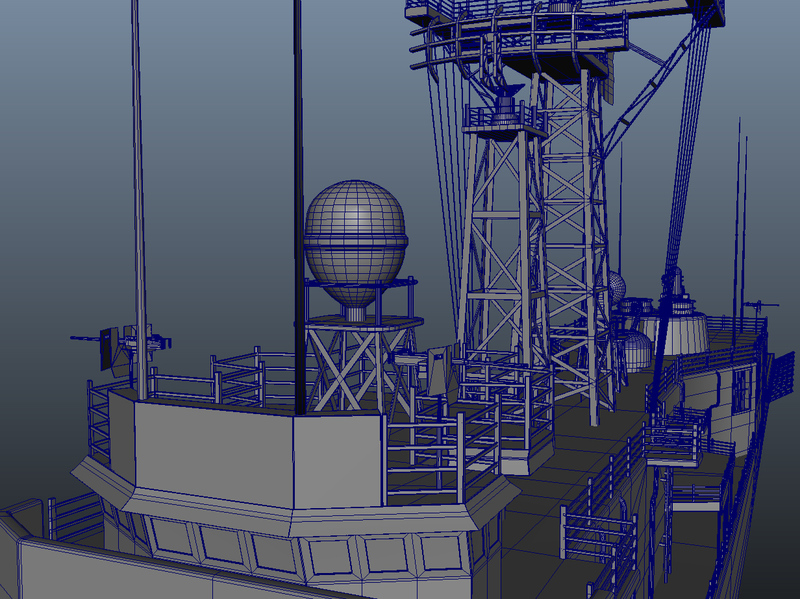 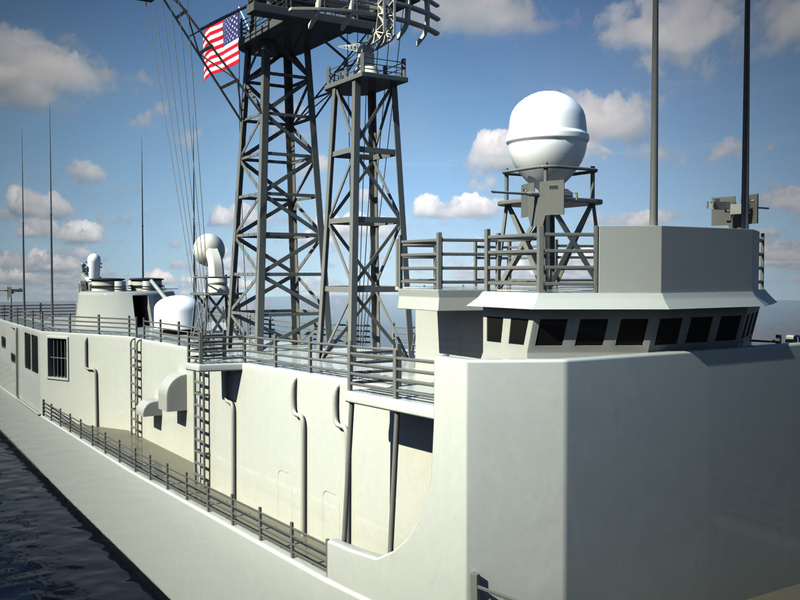 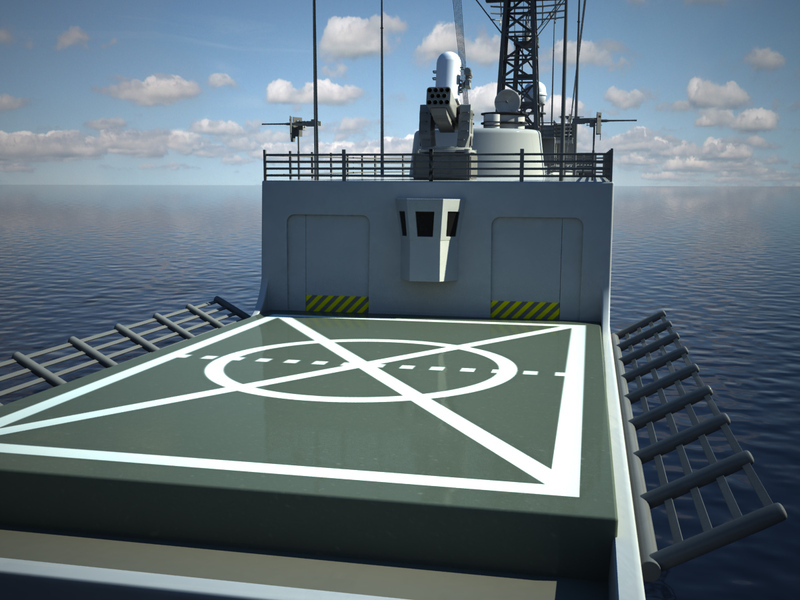 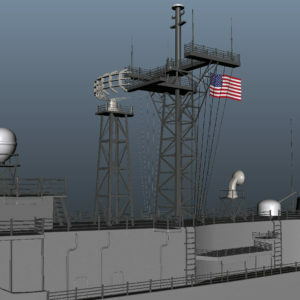 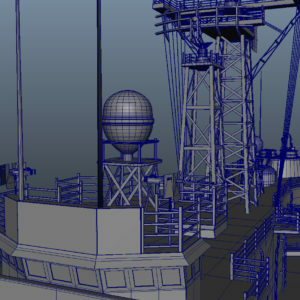 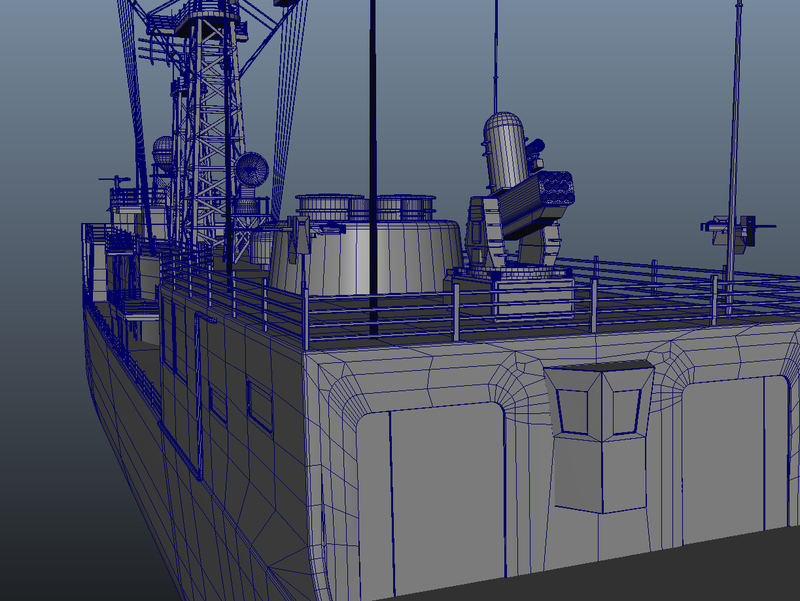 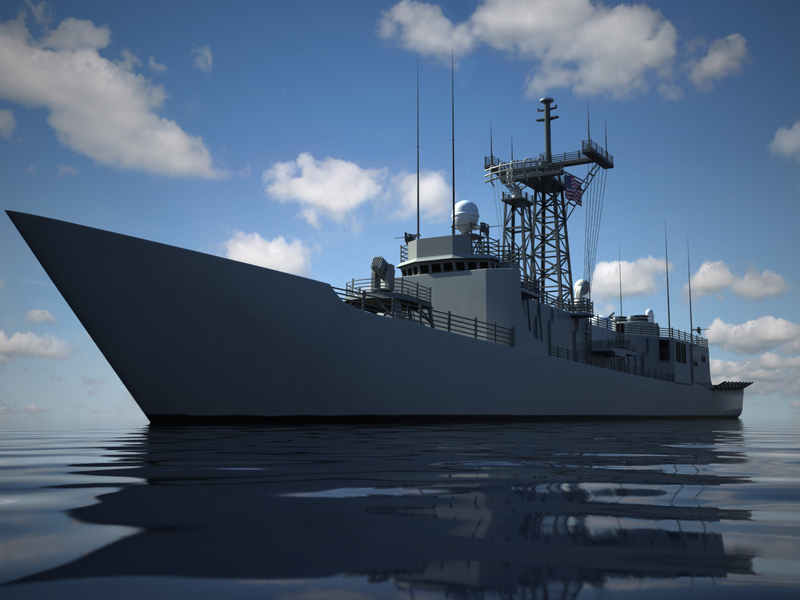 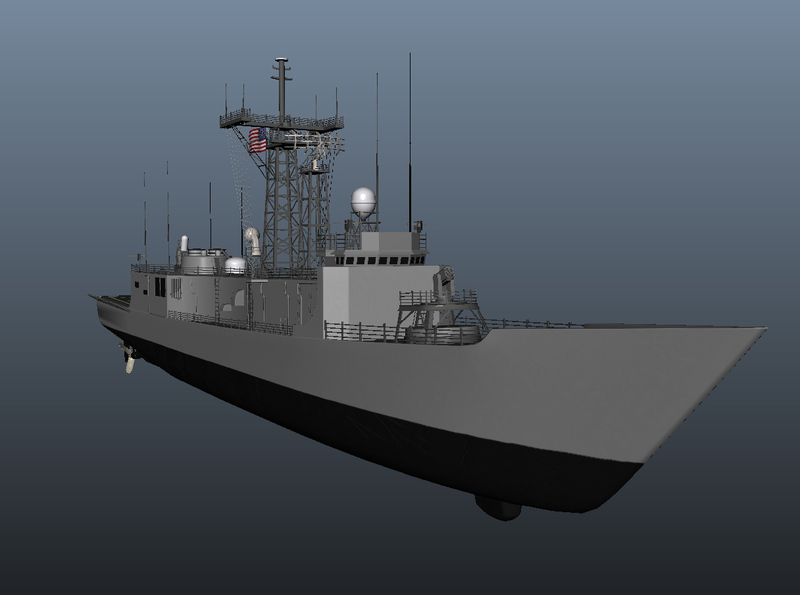 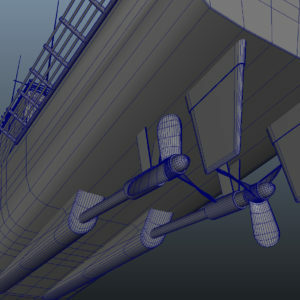 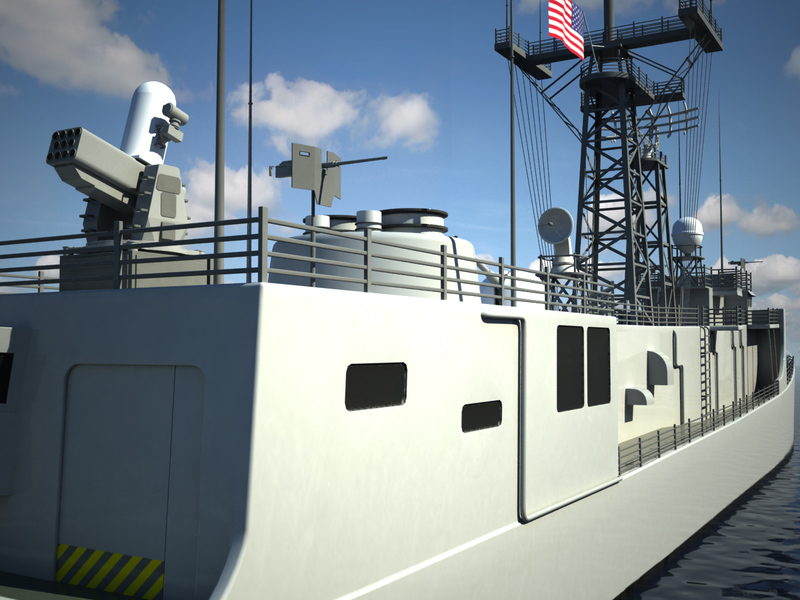 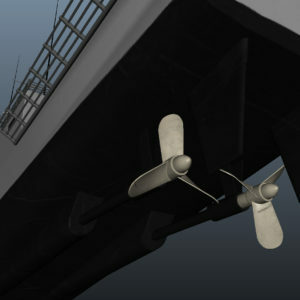 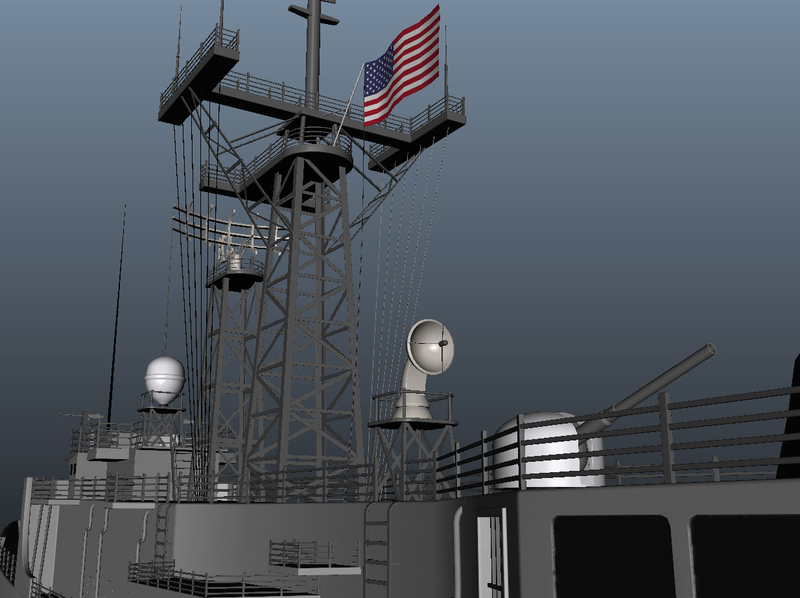 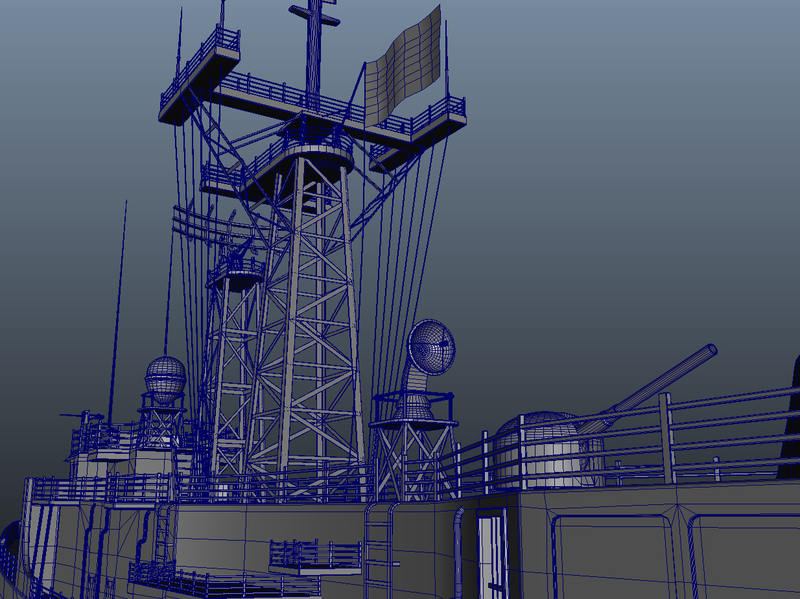 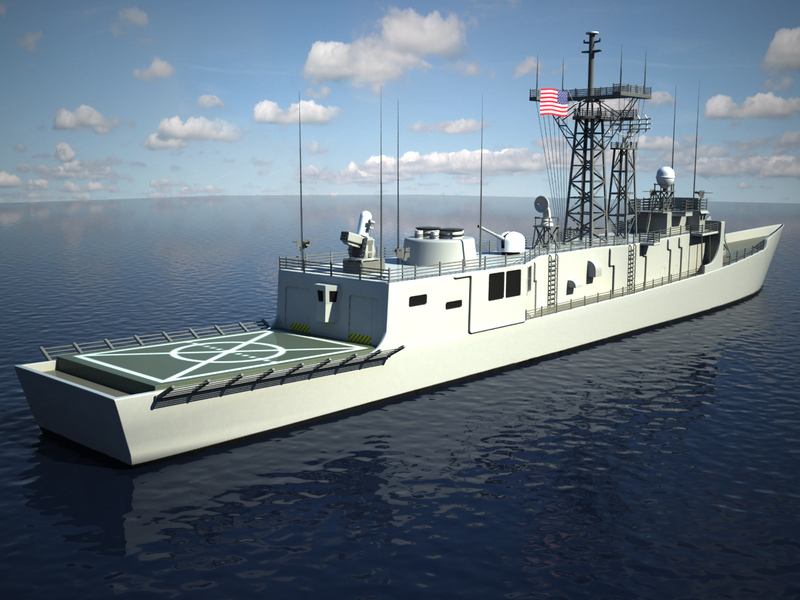 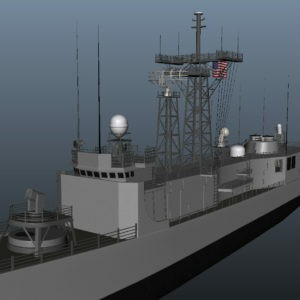 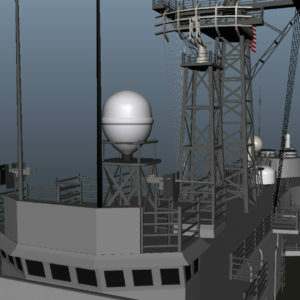 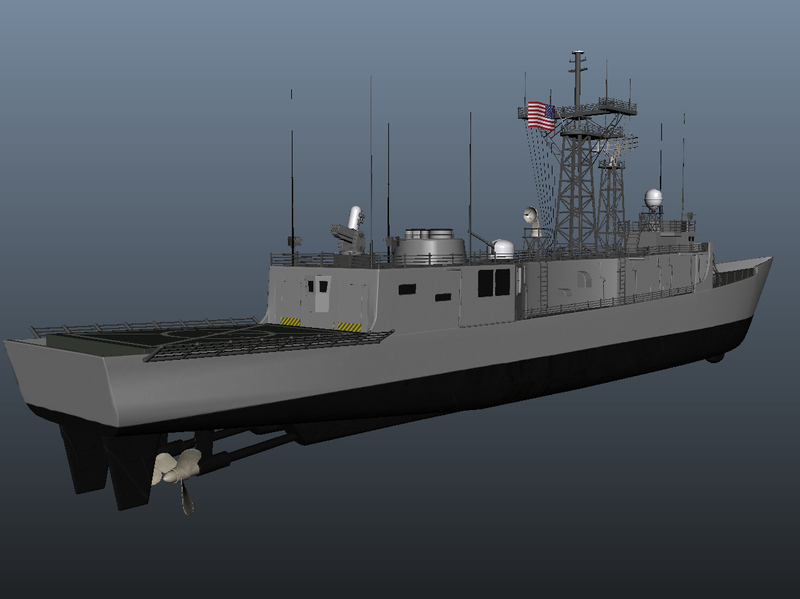 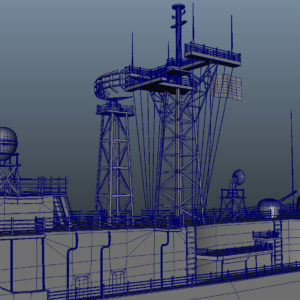 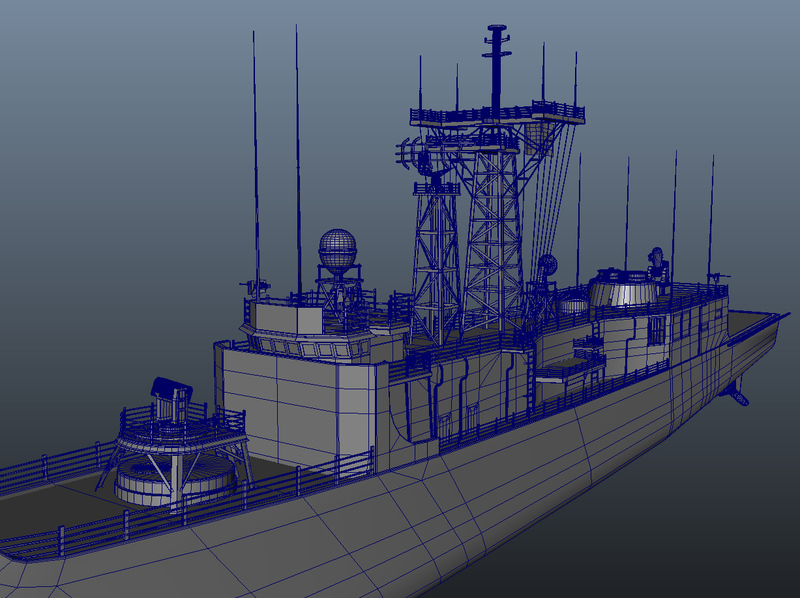 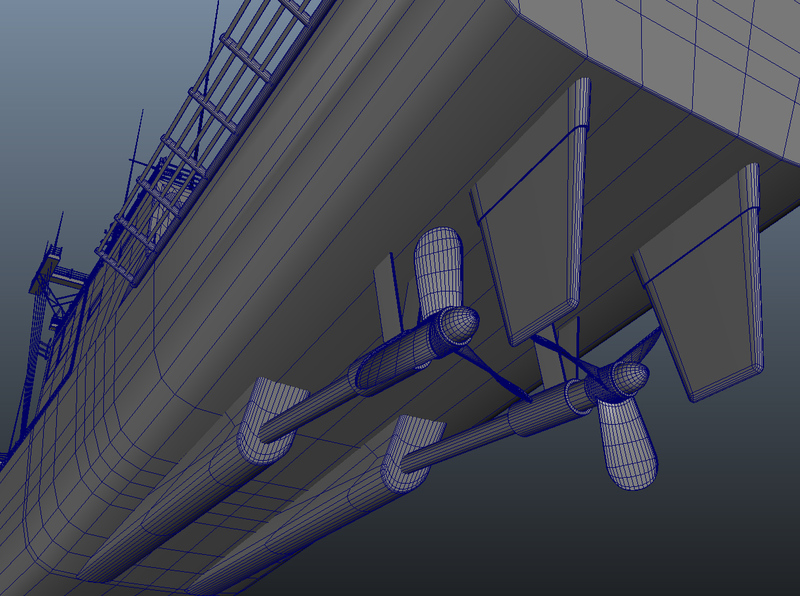 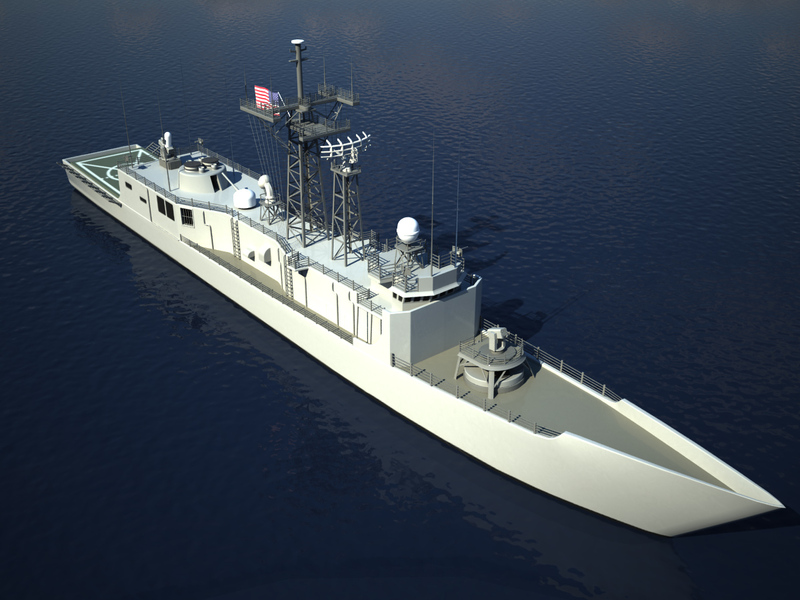 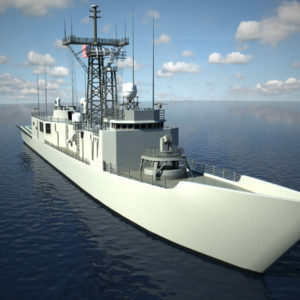 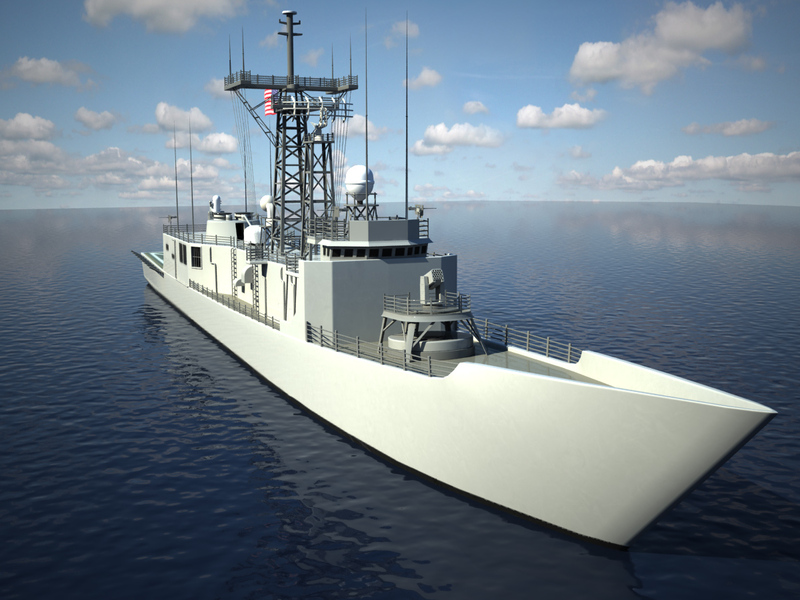 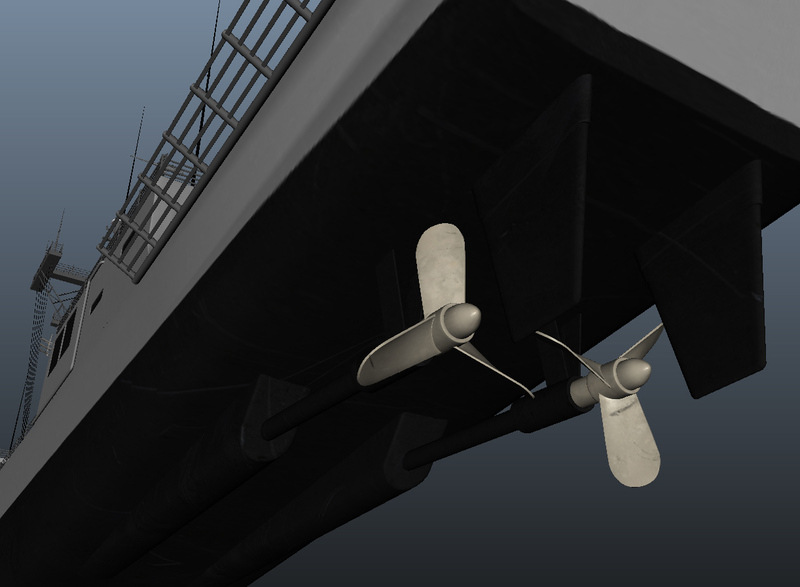 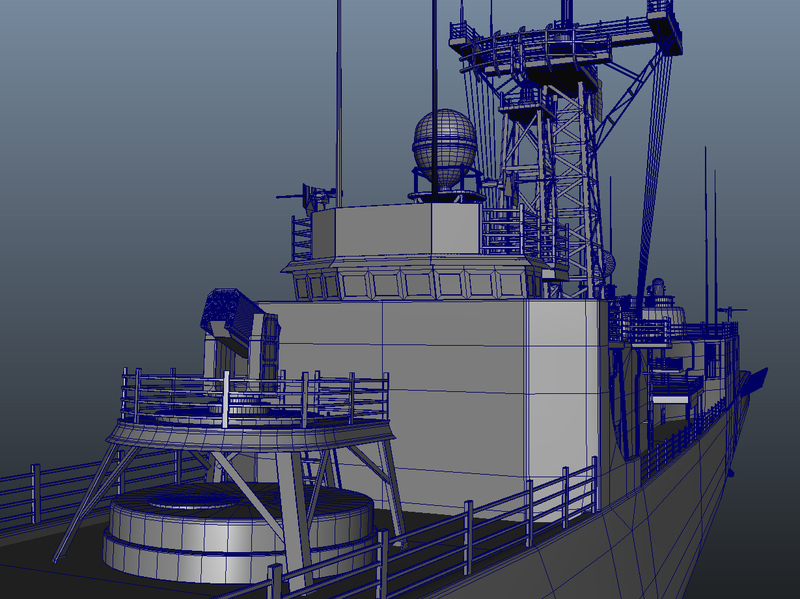 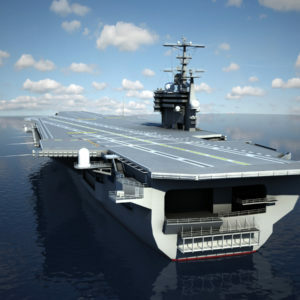 High quality mid poly 3d model correctly matching the real world USS Oliver Hazard Perry 3D Model. 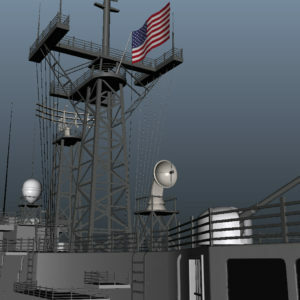 The ZIP file includes all the four texture maps. 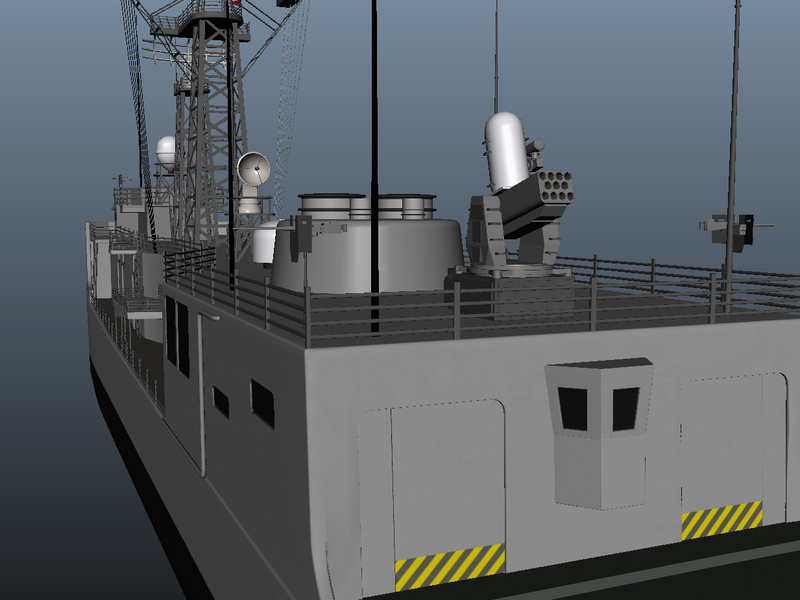 5K texture maps, 5K diffuse map, 5K normal map, and 5K specular map.